Playing judi domino is much like your traditional straight poker, the only difference is that the hand rankings being different, which will be explained further later. The bluffing aspect of the game is still there. The players involved must first agree on a predetermined fixed amount of money in the center. They would also have to agree on maximum and minimum raising limits to be added into the pot. This is only done during the initial round of the betting. It means that the player is included in the game without raising an amount. This means that the player is surrendering and is intending to drop out of the game. Players who choose to fold are not allowed to reveal their tiles. Only done in the initial round, it means that the player buts their stake into the amount accumulating in the center. This is done when the players have put the same amount of money as their co-players still in the game did previously. This action will prompt the players to reveal their tiles. If a player intends to raise the amount of money they will be putting in the center, they will have to announce it. By increasing the bet, anyone who still wants to be in the game must provide the same amount of wager or raise it again with a higher amount. Otherwise, the player can choose to fold. The player with the eldest hand will start the game, and the player to his left will take the next turn. Royal Hand. This would refer to a set of tiles all had doubles. This incidence could only happen once since the double one, and double zero has been removed from the set beforehand. Straight Sixes. If your tiles consecutively have a suit of sixes, you cannot tie with another player if you have this hand. Four of a Kind. A set of tiles including any four doubles. There is only one player who can have this per round. Straight Fives. Similar with straight sixes but with a suit of fives. Full House. Any three doubles along with two of any suit. Straight Fours. Similar with straight sixes and straight fives but with suits of four instead. Any deal with three doubles. If you have five tiles that are in the same suit but are not in any consecutive order. One Pair. A set with any two doubles. High Card. If none of the other hands are present, the player with the highest double wins. If you enjoy games like poker, you might find this game to be a lot enjoyable too. 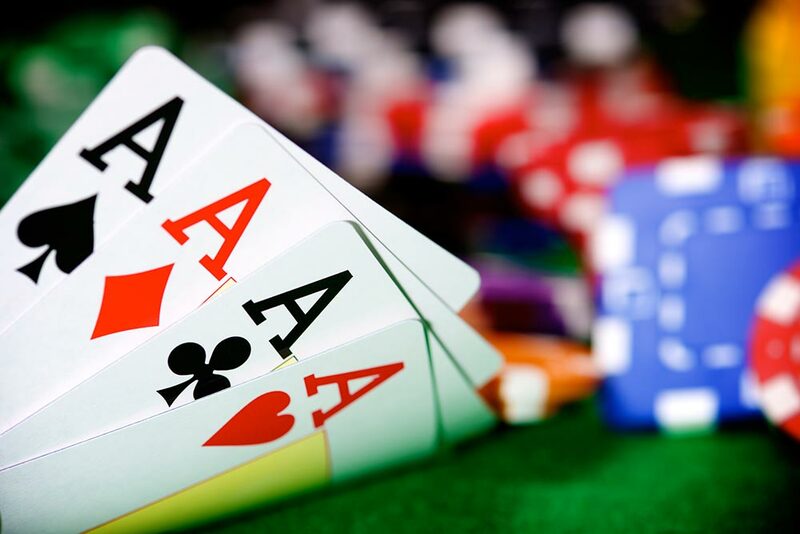 On the other hand, if you don’t know much about the traditional poker, you might be at a good advantage since poker players might have to unlearn some rules of the game to understand domino poker better. Either way, judi domino is a simple game for everyone. Win big with Once around deluxe game!